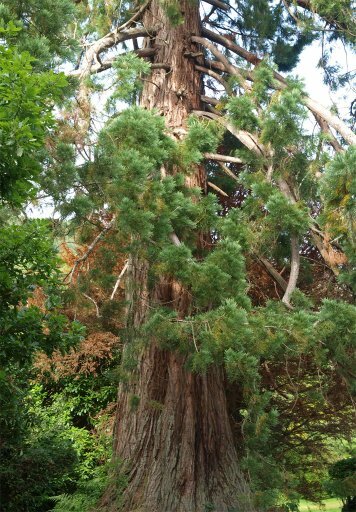 Thanks to Peggy who says she "was geocaching up by Loch Ard west of Aberfoyle and found this Sequoiadendron at N 56° 11.009 W 004° 25.169. It was next to the road which runs right along the lakeshore, so I'm sure it's getting all the water it needs! 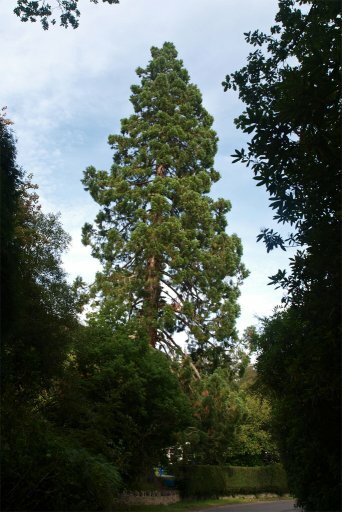 It is an especially large specimen - there are several great houses nearby, I know this area became famous because of Sir Walter Scott's Lady of the Lake writings - and a popular area with Victorians, so maybe 1882 or thereabouts?"